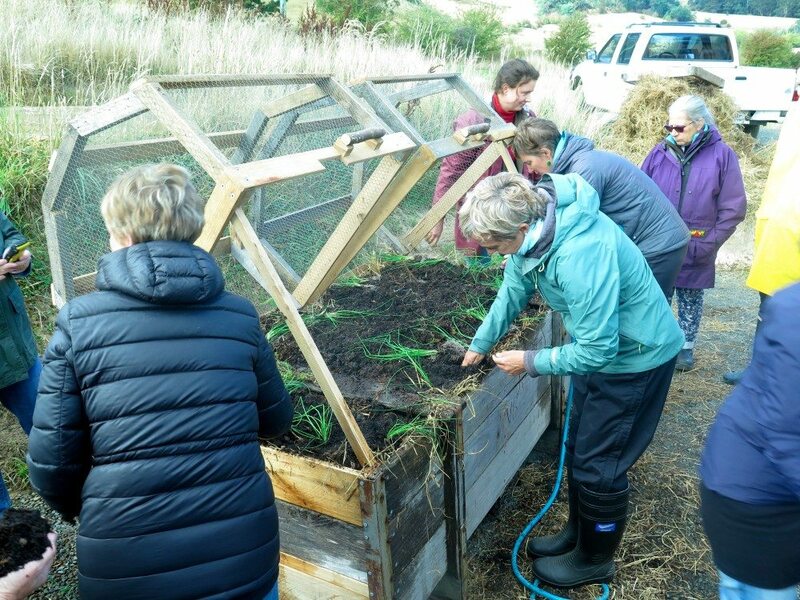 We recently ran our Real Skills for Growing Food workshop at the very wonderful Fat Pig Farm. A personal highlight was completing the wildlife proof, no-dig garden, wicking bed that local builder and permaculturalist, Blake Harder, built and we filled in with our students. They’re a clever solutions for areas with erratic rainfall and/or for people with little time for pottering in the gardening. They can be on areas with no soil including tiny balconies, courtyards and roof top gardens (just be sure to know that your building/ balcony can handle the weight of the wicking bed). In a nutshell they’re a fully contained garden bed with a false floor at the bottom which functions as a water aquifer. On top of this is a layer of geo-fabric material to prevent soil from clogging up the water and on top of this is a growing medium (soil) for plants to thrive in. Using capillary action, the plant’s roots draw water *up* from this aquifer, meaning you don’t need to water from the top. There are nifty design features including an overflow pipe to prevent flooding/drowning of the plants and an inlet pipe where you can plug your hose in to top up the aquifer as needed. You can read (and see) an enormous amount of information about wicking beds from our friends at Very Edible Gardens. Due to the vigorous Australian wildlife (possums and wallabies in this case) Blake also built a beautiful cage on top of the bed. The key to a good cage is that is should be easy for anyone to use – this one’s a beauty with strong hinges and timber props to keep it open while you harvest. Before filling in the bed we flushed the blue metal gravel with lots of water to wash of the fine dust that was on it. If we had our time again we would’ve made sure that the gravel was slightly bigger and clean. No worries though – after flushing this out, it was fine. 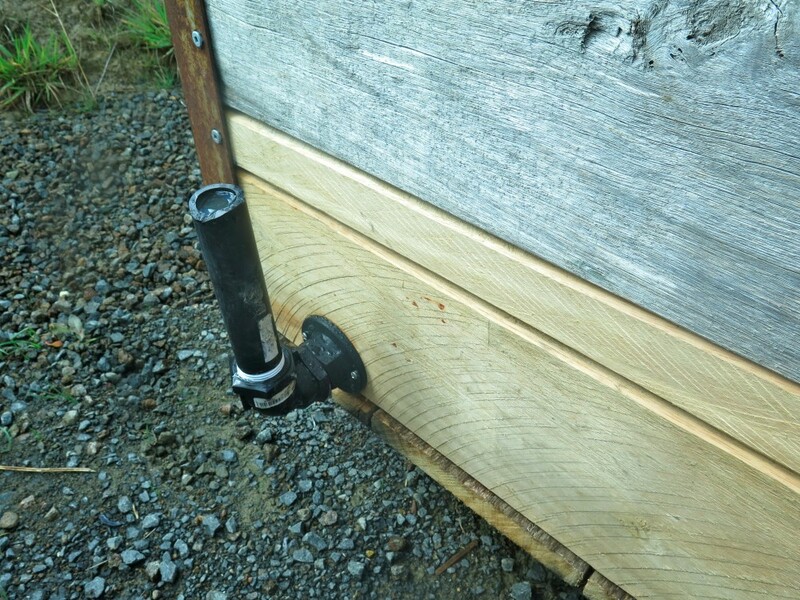 The garden hose plugged into the water inlet pipe, directing water where it’s needed – the aquifer. 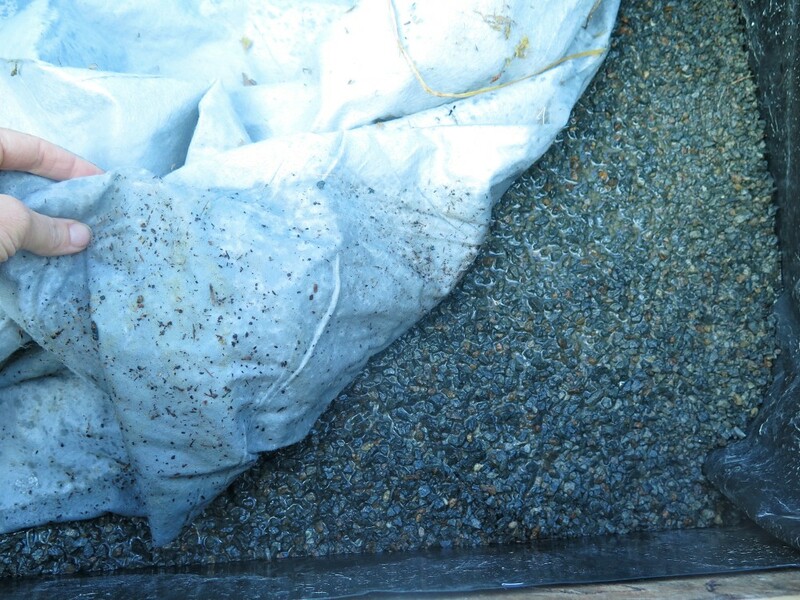 On top of the blue metal goes a geo-fabric material, its job is to keep the soil from clogging the aquifer. 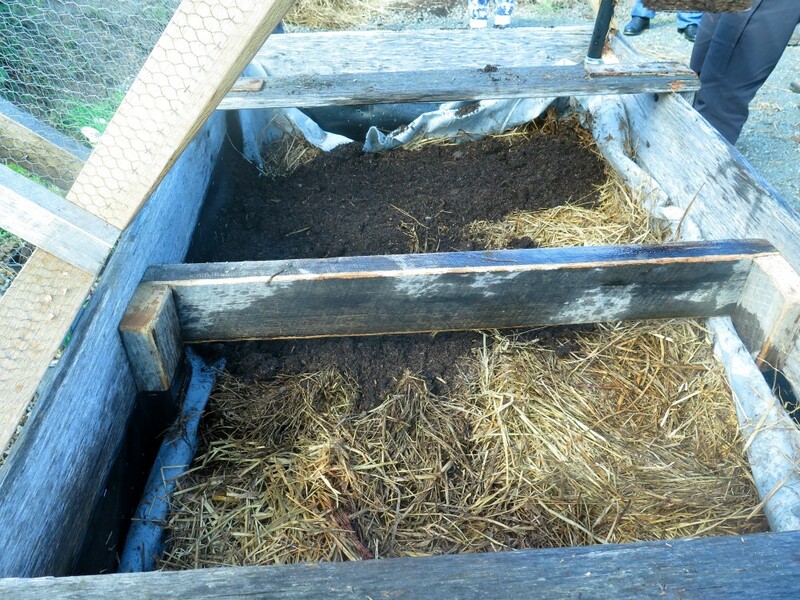 Before I go any further, I should also point out that the timber bed is lined with a food grade black plastic to keep all the water in – you can see a glimpse of it in the photo above. A really clever design feature is the overflow pipe you can see below. It’s built with an movable elbow join so if you need to, you can empty the water aquifer by turning it down. 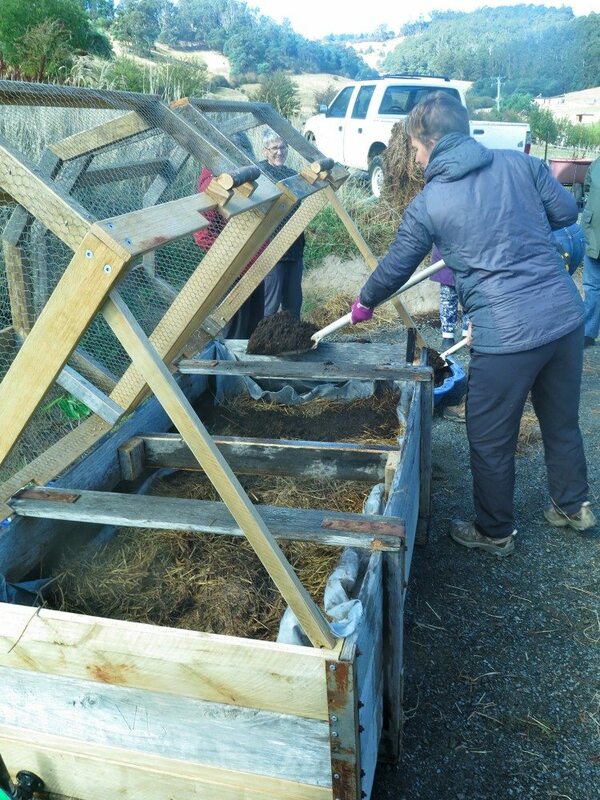 Developed by Esther Dean in the 1970s, no-dig gardening is a technique where you layer carbon and nitrogen materials on top of the ground like a lasagne to create a raised garden bed. You can go as high as you like – but generally people don’t go over 1 metre. 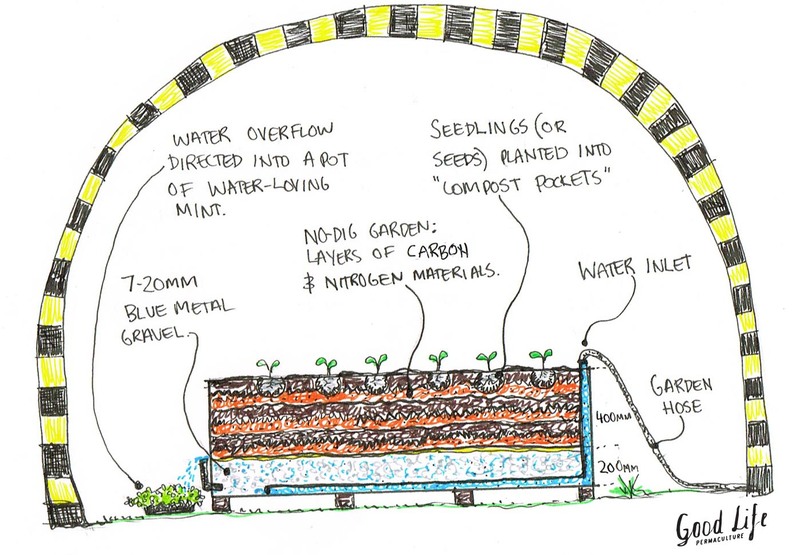 This creates a nutrient-rich approach to growing food crops and a brilliant way to build healthy soil when there isn’t any onsite. 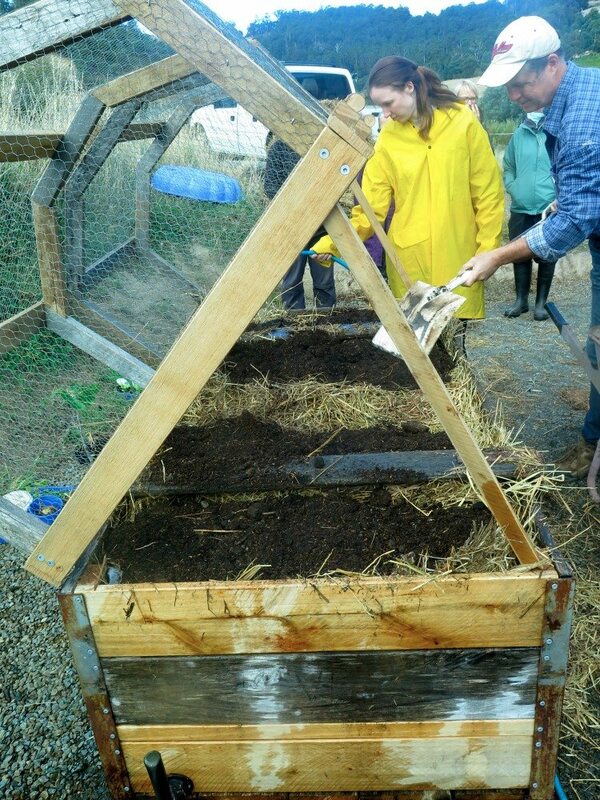 When we build raised gardens we always build them with the no-dig gardening method. This is because we’re yet to find a commercially available soil mix we’re satisfied with. We need our soils to be pumping with the biology, the no-dig garden ensures this happens. 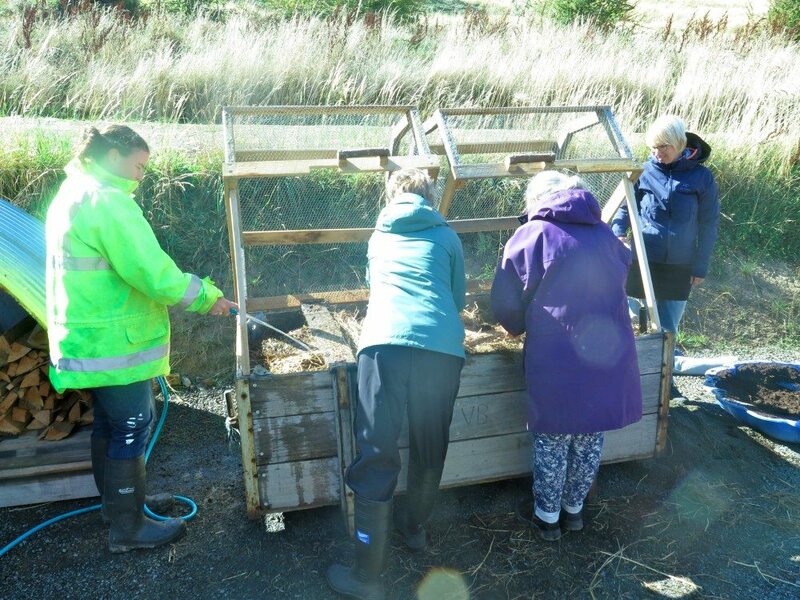 The carbon material we had available to us on the day was aged hay from the paddocks – ideally straw would have been better as it’s “seed free” but we use what we have. 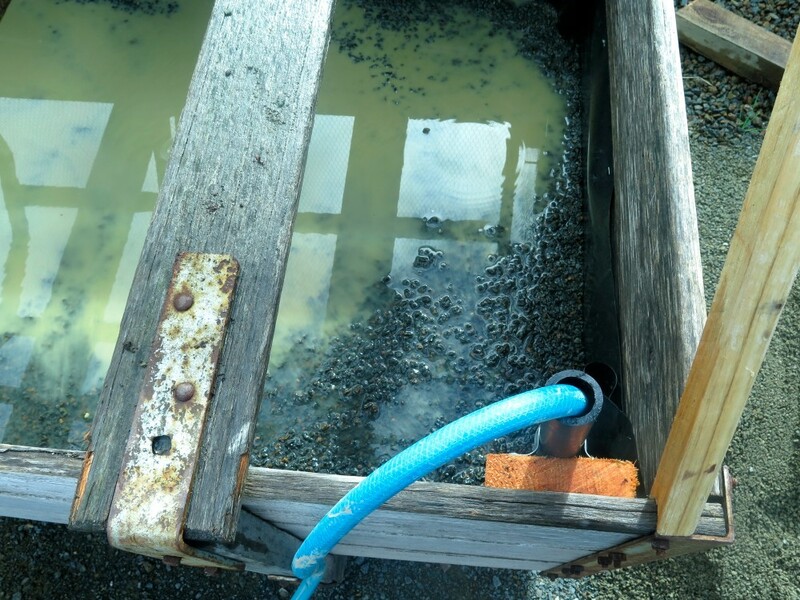 For the nitrogen layer we used aged chook poo. Each layer was watered in thoroughly to ensure there was even moisture throughout the whole pile. Once the bed was full we planted it out with herbs for the kitchen. For each seedling we dug a small hole in the top and backfilled it with mature compost and planted directly into this. We call these “compost pockets”. 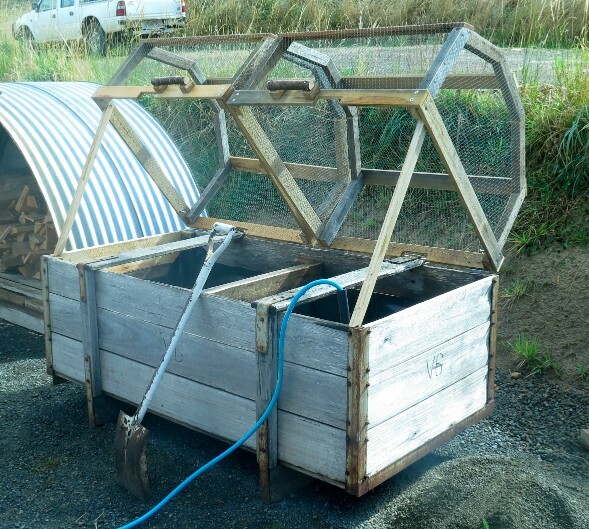 This is a resource efficient way of using what can be expensive compost. Instead of buying heaps of it, we only source enough for planting each plant. By the time the seedling’s roots break through out of this pocket into the surrounding hay and chook poo below it will already be transforming into gorgeous soil. 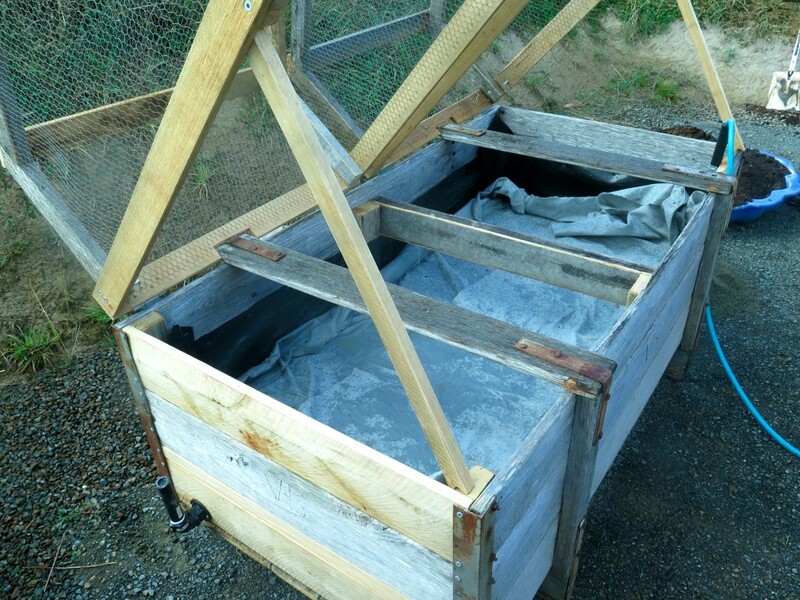 There you have it, the wildlife-proof, no-dig garden, wicking bed. Bit of a mouthful isn’t it! This productive and low maintenance wicking bed is destined to provide many herbs and much happiness to all who grace Fat Pig Farm’s kitchen.